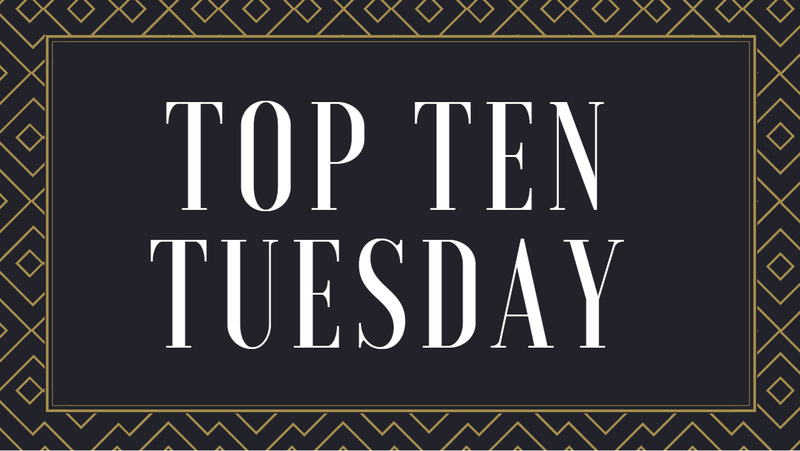 Top Ten Tuesday is a weekly book blog meme now hosted by Jana over at The Artsy Reader Girl! I am always starting new book series. I don't really have any qualms about starting multitudes of series and being pressured to finish them in any specific time because I know that I'll get to them eventually if I really like them enough. Plus, I love knowing that I always have something familiar to pick up if I want it. Because I read so many series, I often come across ones that I do not have any desire to finish, so I chose some of those for this post. While looking through some of the many book series I've started and picking out the ones I don't want to finish, I noticed that, somehow, all the ones I've chosen are YA (and a few middle grade). I have no idea why that happened and I don't think it really means anything, but I found it interesting nonetheless. Regardless, I feel as though I've done variations on this topic in the past so apologies if there are any repeats in here that you've seen me discuss before. 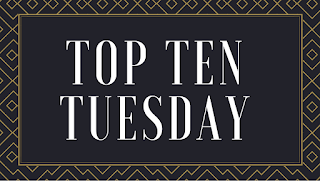 I also just mentioned in a recent post that Dune and Red Queen are two series that I will not be finishing, so I've nixed those from this list. Let me know what book series you don't plan on finishing! I don't have any current plans to pick this series back up. I didn't finish the first book because it just dragged so much and felt far too bogged down--I'd be interested to hear what middle grade readers actually think of it. I read the first two books what feels like years ago and I remember starting to lose interest during the second book. I ended up finishing it and deciding then that I just had no more interest in this book whatsoever and I didn't really like the characters much at all. I'm sure I've mentioned this series before, but I could never even make it through the first book and I just really have no interest in reading this series. I was so underwhelmed by the first book. My desire to read this series fled about halfway through reading it and just never came back. It had a ton of great potential, but the execution was not great. This one might have just been overhyped to me, but I was pretty bored throughout the whole thing. I kept hearing it mentioned as a 'Nigerian Harry Potter' and honestly... it felt like, but in a bad, obvious way. There were a lot of things I disliked about this book. This one was actually pretty cute, it just wasn't what I expected and I think it had a younger audience target than I expected. I'm sure younger readers would love this, but it just missed the mark for me. This was my final realization that Renee Ahdieh's writing style is just not for me and I just don't want to keep trying to force myself to read her books. I wish I did because Ahdieh is such a wonderful person that I want to read her books as well, but I suppose I'll just have to support her in other ways. I don't really even know what to say about this book. I couldn't finish it because it was just so... disjointed and tried too hard? There were too many characters, not enough interesting characters, and it just felt like it was trying way too hard to be a badass high/epic fantasy and didn't really get there. This was a huge disappointment and seriously frustrated me. I have no inclination to pick up the next books. There wasn't anything really wrong with this book, I was just bored with it. It felt like a million other things I'd read and felt a bit too stereotypical for me. I can understand why other people like it, but I won't be continuing. Have you read any of these? If so, what did you think? Are there any other series that you don't plan on picking up again? Never miss a post by subscribing to Forever Lost in Literature! I couldn't even get through Flame In The Mist so kudos to you for that! Haha, thanks! I was going to give up on it, but it was just one of those where I hoped it would get better...and it didn't. Yeah, I hear you on that! I never read past the first either, it just wasn't engaging. I remember looking at Wildwood and being kind of interested, but never took the plunge. And Miss Peregrine's was another series that looked like it had potential, but I just never... picked it up? Yeah, I have a lot of books like that! Wildwood still always intrigues me whenever I see the cover or hear about it and I'm still interested somehow? But then I remember not being able to finish it and push that thought aside, haha. I haven't read most of these yet but I did lose interest in Miss Peregrines. I've been seeing a lot of similar thoughts about Miss Peregrine's! Wildwood is on my TBR list! Your evaluation has made me even more curious to read it. Ugh, I wanted to read Miss Peregrine this summer, but I keep seeing so many bad things about it! Snow Like Ashes was an okay read for me too, but I'm only interested to own it because of its pretty covers (they are so prettyyy!). Great post, Jordan! They really are some lovely covers! Thanks! I'm not surprised to see all YA series on this list. I find most of them start to lose steam after the first book. I wonder why that is? I've noticed that somewhat lately as well. There are some really strong ones out there, but a lot seem to sort of flounder when expanding--it's definitely something interesting to think about.